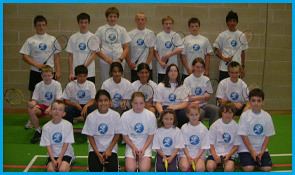 MyRacquets Badminton Activity Camps - Make sure your child has the best start in life. At MYRACQUETS Activity Camps not only will your child have fun and learn new skills but they also have the opportunity to develop their skills long into the future! The Derbyshire based MyRacquets Camps was founded by Lee Clapham ex England badminton player with 11 years coaching experience. Lee felt that children need to be encouraged to play more sport whilst at the same time feeling enthusiasm and excitement for sport. These camps give boys and girls the chance to develop new skills in a safe friendly environment with experienced and fully qualified coaches. 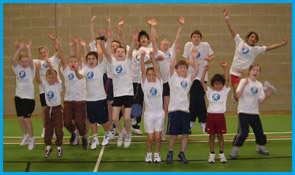 Although the main focus sport for the camps is badminton we do involve the children in some different activities such as SAQ (Speed Agility and Quickness), basketball, football, cricket, etc as we feel children will developed different essential skills though different sports and challenges. Our aim is to enable children to learn and develop through fun and enjoyment, not only skill wise and physically but also socially by interacting with other children and our main aim is to enable children to learn and develop through fun and enjoyment. What ever your child wants out of sport weather it to be the next Olympic gold medallist or just to have some fun or try something that they haven’t done before, we at MyRacquets will help them on their way. We understand that every child is unique and we aim to make every child feel valued. 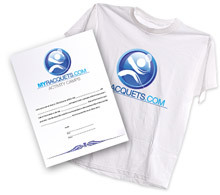 All of the MyRacquets coaches are fully qualified and have been hand picked to coach at the camps. For your peace of mind all coaches have been approved by the Criminal Records Bureau and have Child Protection. Lee’s a Badminton Player and a fully qualified Coach with the Badminton Association of England. He has played junior and senior level badminton at County level for Lincolnshire and Derbyshire represented his country at National and International tournaments. As a fully qualified coach this now enables Lee to give back his experience and knowledge to young people wishing to either learn or advance their badminton play. Ken is a fully qualified badminton coach and has also had experience playing badminton in the Derbyshire Badminton League of a number of years. He is also qualified to teach Swimming, Basketball, & Football for both adults and kids and if that wasn’t enough he’s also a qualified RSA/YMCA Aerobic/Step instructor. Edd is a fully qualified Badminton Coach. He is also Derbyshire's up and coming badminton player taking on his way to the crown as Derbyshire U15 & U17 county champion. Note: this group is invitation only. Please contact Lee Clapham for more information. As well as these awards all players will receive a free T-shirt and certificate after completing the camp. What do I need to bring to the camps? All coaches are fully licensed and CRB checked. There is a first aided on site. All of our camps have public liability insurance cover. Children are coached in minimum ratios of 1:10. Please ensure that your children have enough to drink for the whole day. This problem is made more acute as the children are participating in sport. Drinking water is available. If the weather is sunny please ensure you pack sun lotion as we may go outside.